This exhibition consists of two separate installations. Central to both is technology familiar to the viewer: cameras, television monitors, telephone answering machines, all equipment easy to acquire and use, yet which serve to represent us in various capacities. Accepting this as a legitimate offer of representation, the artists contrive situations to test the real ability of this technology to deliver an identity. nO fiXeD aDdrESs, a work by JOEY MORGAN, will unfold over a seven week period as a series of telephone messages. The audience will be informed of the piece from several different sources: art magazine advertisements, classified ads, a video shown on local cable T.V., a short radio spot, direct mail announcements, and the installation at Mercer Union. It is apparent that the telephone situation is contrived and set-up, yet only slowly is it revealed that the caller has unacknowledged expectations of a genuine encounter. CORRINE CORRY’S Palace of the Queen is founded on two factors: a remarkable family resemblance between the artist and her mother; and the artist’s concern with the means available to record this resemblance. In seeking the identity of her mother in relation to her own, the medium of portrayal imposes itself on the identity of the sitter. It becomes clear that the perceivable differences between the two are not wholly attributable to the ultimate individuality of each person. 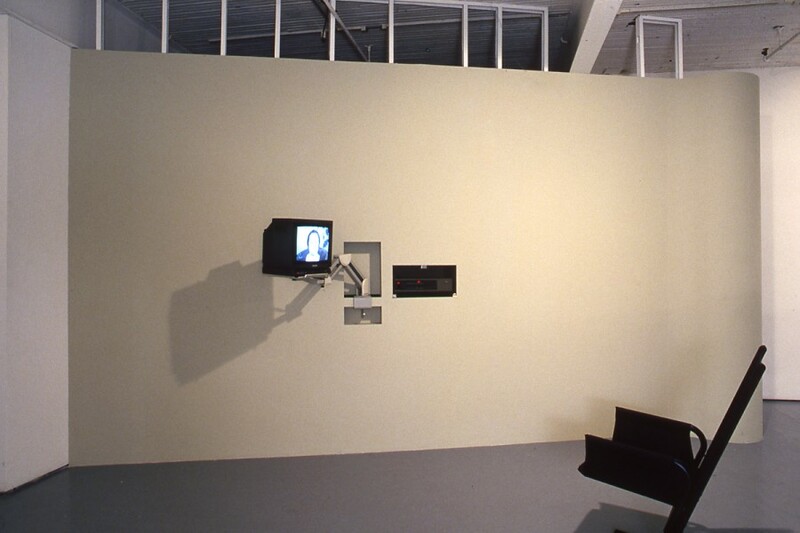 In both installations the artists’ pacts with technology are made explicit as they concern the viewer. Underlying this exposure is an admission of involvement on the part of the artists. Each reveals, ln a different way, her own dependence on technology as a means of representation and an expectation that, from this, something of subjective value may be extracted. CORRINE CORRY lives and works in Montreal. She was a producer for NFB/CBC Nunatsiamiut, Frobisher Bay, NWT from 1974-77. Since 1980 she has worked in performance, video and video-installation. 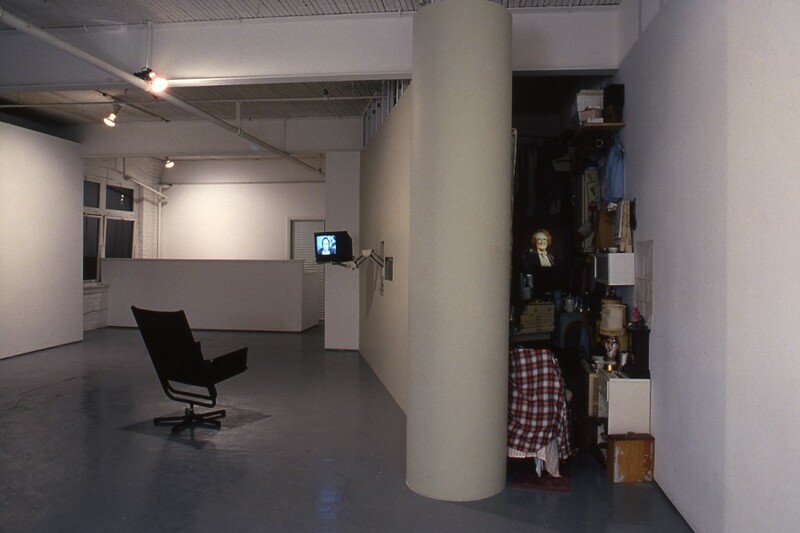 Her video related work includes Mirror Pieces, 1981; Red Lizards, 1982; T.V. Dinner (collaboration with David Dorrance), 1984; MY Mother Died a Year Ago, 1986. Presently Corrine Corry is an instructor in Multi-Media Studio, Concordia University, Montreal. 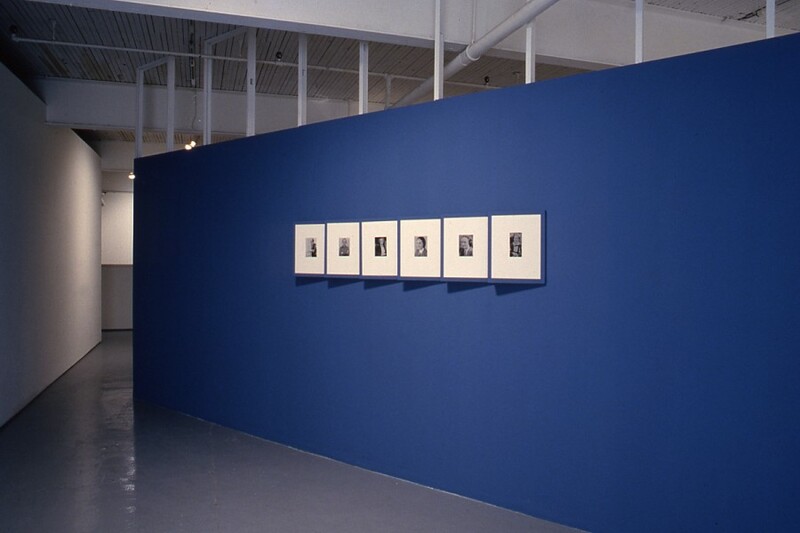 JOEY MORGAN lives and works in Vancouver and has produced work since 1978, including several, major site-specific works: Tide Catchers, 1982; Fuque, 1984; Souvenir: a Recollection in Several Forms, 1985. 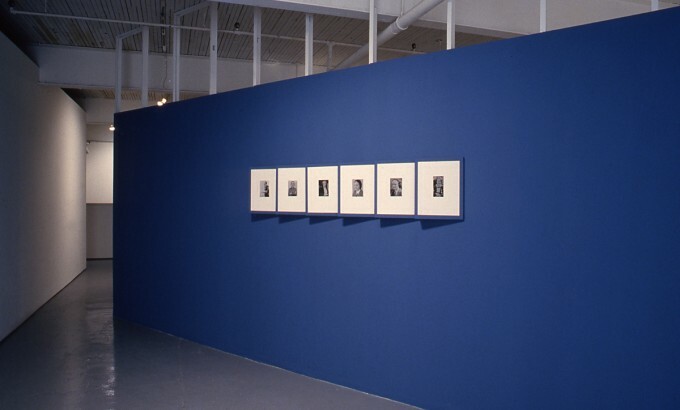 She exhibited in Songs of Experience, at the National Gallery of Canada in 1986 and in the spring of 1987 installed a site-specific work, Almost*Dreaming at the Vancouver Art Gallery. In September, Mercer Union will publish a catalogue representing these installations, containing two bookworks, one by each artist, with an essay by Liz Magor, the exhibition curator. Of photographs extant in the world, it is possible that the majority are of dead people. As chemical deposits of what was real, photographs are indices of people who were, emblems of what has passed. The tone of memento mori is a pervasive aspect of photography and forces it to speak of our mortality even as it records our living. This, together with the impossibility of retrieving that which we have catalogued, can make photography seem like a bad deal. However, as long as there is a chance to hold the moment we will attempt to extract the promise while defer ring the threat. We face the camera confidently, to record our health and beauty; we use our children as subjects, their youth a fetish against the camera’s deathful power; we record the milestones of our lives, their progression a proof that we aren’t a dot but a line. The installation is founded on two factors: a remarkable family resemblance between the artist and her mother; and the artist’s concern with the means available to record this resemblance. Disregarding the mandate for movement, super-8 film records a photograph: a picture of the mother, studio-posed, co-operative, trusting. Yet the filming of the photo would betray this trust as it puts the portrait in an impossible situation. Not only is its own paper base rejected for celluloid, but the still picture is caught in a continual loop with its subject apparently paralyzed. Unable to make the movement which would distinguish one frame from another, the subject is constrained by her choice of medium. In response to this distress, as in a gesture of rescue, the artist takes her mother’s place, engaging the recording device with a contemporary understanding of what this submission entails. 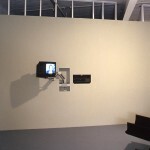 In a video auto-portrait of twenty minutes duration, the artist attempts to “take” a still photograph by an action of self-control. Being still, for so long, prolongs the instant of the shutter release, allowing room for doubt; of the validity of the project, of the correctness of the pose, of the reliability of the equipment. 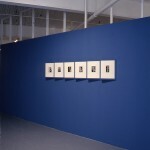 In her doubt, the artist compresses and embodies the ordeal of the photographic encounter, an ordeal usually begun with the release of the shutter and then measured out in moments over the years as we look through old photos. In the tape these moments pile up, constituting a force which crushes the sitter. Her evident pain and anxiety speak of the inevitability of loss; of time, of self. She reads her fate in the lens of the camera. In this living room in an urban neighbourhood, the video camera extracts its price and records its payment. That this is a domestic drama is made explicit by the location of the video shoot, and extended by the selection and installation of the film and video equipment. The screen and projector are closeted, as they were in our homes, causing awkward access to the family movies. Video technology, by now accepted as a constant presence at home, is represented as contemporary, technical decor. 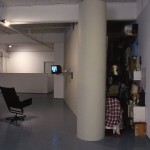 Ordinary domestic objects make up the rest of the installation, drawing the film and video equipment into the realm of objects. At this point, the media themselves become in secure in their identity and betray their dependence on earlier means of representation–painted and photographic portraits. Other objects, the possessions of the mother, are catalogued in the book work accompanying the installation–small things of little value, made consequential by the volume and excess of their collection. Arriving as an undisposable inheritance to the daughter, these things are like the stacks of photographs in that they bear an identity. To discard the material is to discard the identity. One becomes bound to material which in turn is bound to technology. Finally, material change, concomitant with technological change, insists on perceptual change. Confined to these terms, the artist seeks the identity of her mother in relation to her own. They share a strong resemblance, yet their perceivable differences are not wholly attributable to the ultimate individuality of each person. It is clear that the medium of portrayal has imposed itself on the sitter, making strained the expected affinity of mother and daughter, and futile any attempt to reunite them. The invention of the camera, says Susan Sontag, has given us a view of human aging never before available to the species. The result, she says, is a profound and melancholy awareness of our own individual mortality. It has also, one might add, altered our notions of private and public space, of memory, identity and desire. Corrine Corry’s hookwork and exhibit, In the Palace of the Queen, addresses the way in which photography and other more recent technological innovations have intruded into our lives and altered some of our perceptions. Corry’s installation was sparked by the recognition–something she could never have known prior to the development and proliferation of the family photo–that she and her mother bore a remarkable resemblance to each other at similar ages. To illustrate this we are shown a series of black-and-white prints of the artist’s mother and Corry herself deliberately clothed and posed like her mother. It is difficult for the uninitiated viewer to speedily determine with any certainty which picture depicts which woman. This is symbolic of the behavioral modelling we owe those who came before us. The photos are nestled in a series of blue shutters, further marking the pictures as windows of identity and memory. The effect is to seemingly extend the mother’s existence forward in time and the daughter’s backwards. In another era death would dissolve our images, first physically, then in memory, as those who had met and remembered us died in turn. Now, all that comes under the camera’s scrutiny may be retained. But such pictures are frequently distorted. A photo does not really capture a life; it merely entombs a moment that is dead as soon as the shutter closes. A photograph is one drop in a running stream of images, hence a reminder of just how much is lost. Film and video–with their direct presentation of aliveness–have, in retrospect, an even more succinct sadness. To view such images (still or fictitiously moving) is to evade and embellish the present. To illustrate this, Corry also prepared an 8mm film-loop of a single picture which serves to memorialize her mother, who is now dead. Projected on the back wall of a cramped room cluttered with the accumulated trivia of a lifetime, the film attaches a personal significance to each object. These things hold memories too, even though, the significance of each item is not as available as the photo. Only the mother, Queen of Clutter, rigidly flickering on the back wall, reigning over a tiny, claustrophobic palace, fully knows every item. For the artist, for the daughter, this is a storehouse of memories which can only be partially retrieved. This film room, like some kind of private chaos, is separated from the rest of the exhibit by a wall. As a result there is an uncomfortable sense of violation within the public space of the gallery. In front of the room, Corry has placed a 20 minute video portrait of herself. All movements on the monitor are involuntary. Corry sits as still as possible, posed as if waiting for a snapshot to be taken. The occasional eye-blinking and ever increasing facial tension suggest the folly of trying to imitate the frozen past (personal or technological). Just as, in this rapidly changing culture, two generations may superficially resemble each other, so may two generations of technology. The traditional stances of still portrait photography are public and formal; they present us as we desire to be seen. Videos and films, because their images are constructed over longer periods of time, perpetuate the fiction that the pictures they contain are more open, relaxed and private. And one does have less control over one’s appearance in them, hence Corry’s involuntary twitches. The video has, of course, been created in homage to the mother smiling out between the shutters and flicker in within the warehouse of memories and to the machines which mediate and mortify the entire process.